Will These PlayStation Portable Earphones Make You Happy? Chin up, PlayStation fans! 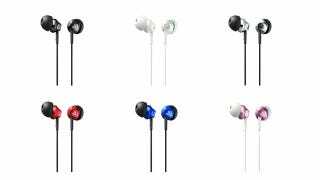 The PSP is getting new headphones in six (count 'em, six) colors: black, white, silver, red, blue and pink. Each is priced at ¥2,200 (US$27) and will be out on July 21 in Japan.